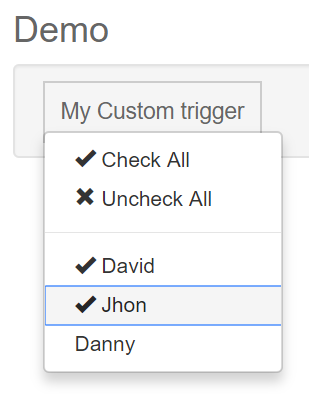 Hi, is it possible to hide the multi-select dropdown field and just have the dropdown body show up under a trigger button? Thank you. displaySelectedLabel worked well! dropdownIcon issue is fixed for upcoming 7.0.5.